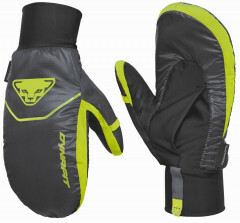 Wearing lightweight race gloves in the backcountry has spoiled us since the dexterity is unmatched. However, rare is the mid-winter day warm enough to wear a thin glove exclusively. 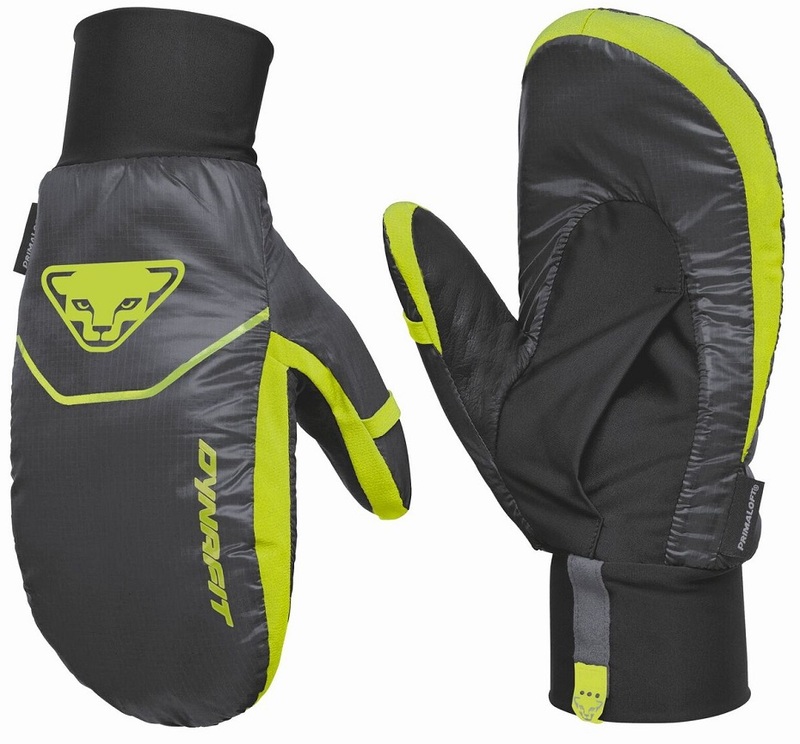 The Dynafit Borax Mitten allows you to enjoy your dexterous gloves while keeping your hands warm. Slip these over your tiny gloves (on your tiny hands?) and let the Primaloft insulation do the talking (insulating). An overlapped split in the palm seals out drafts and still allows for easy access to rip skins, flip risers, or tear open a package of rocket fuel. The lining is Pertex Quantum, a wind-proof, water-repellent, rip-stop wonder fabric that will keep your hand-pillows coming back for more. 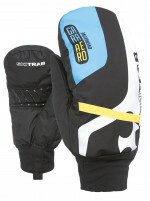 Thanks to the Borax Mitten, warm hands on a frigid bluebird powder day are common-place. Pertex Quantum shell is waterproof, windproof, and rip-stop. Leather thumbs and Grip Zone on the palm help with pole-grip. Primaloft Lining is synthetic and still effective when wet. would these fit over la sportiva skimo gloves? Ive been wearing kinco the last few years and im ready to invest in a better solution, my hands tend to run cold. l love the dexterity of kincos but my hands have been uncomfortably cold too often. thanks! These mittens are in my backpack pretty much through the whole winter season, they weigh close to nothing and make really good backup in case of unexpected cold.